Here are my top 7 seven picks for most unforgettable camping spots! Rock climbers rejoice! This high desert landscape is the place where rock climbing became a true sport. Smith Rock State Park is perfect if you like to tent camp. It offers a variety of nice spots along with flush toilets and showers. This state park is well known for its hiking and climbing trails along with its world renowned fly fishing. Want to bring your RV? Smith Rocks State Park offers day passes for just $5. Enjoy the park during the day and park your rig 15 miles down the road at the Deschutes County Fair & Expo RV Park in Redmond, Oregon. The park is perfect for units of all sizes, and is especially great for BIG RIGS. These camping spots were designed for the Family Motor Coach rally’s so they were done right. Nestled along the Deschutes River, this high desert park is perfect for getting away without being too far from civilization. Just 10 miles from Bend, Oregon, the park offers tent sites, yurts for rent and RV hookups. Prices for tents start at $21, yurts start at $44 and RV hookups start at $31 per night. 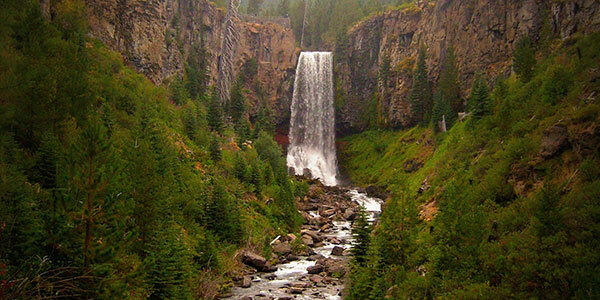 Locals love Tumalo State Park for its amazing rainbow trout often caught and dawn and dusk. Hot day? No worries! Tumalo State Park is the perfect place to cool off. Simply grab an innertube and head down the river. Interested in winter recreation? Mt. Bachelor is only 45 minutes from this park and offers world class skiing, snowboarding and a new sledding park. The Mt. Hood National Forest offers some of the most scenic camping in the world with over 50 campgrounds to choose from. From tent camping to full RV hookups, the Mt. Hood area has something for everyone. Love History? Choose a campground along the famous Barlow Trail. Bringing your horse? Try the Riley Horse Campground outside of Zigzag, Oregon. Creeks and lakes make for great fishing, water skiing and kayaking, and miles of trails make for fascinating hiking. If you’re not in the great outdoors, you can’t help but love the numerous antiques, bakeries and museums all along the Mt. Hood highway. 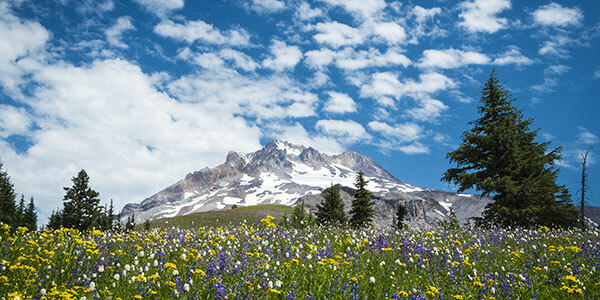 Venture to the top of the mountain and explore the world famous Timberline Lodge. It’s perfect for a gourmet lunch. The Oregon coast offers clean sandy beaches, dune rides, sandboarding and world class kite flying. If that’s not enough, the whale watching is extraordinary. There are many places to camp in the Pacific City area. Here are two choices super close to the beach. 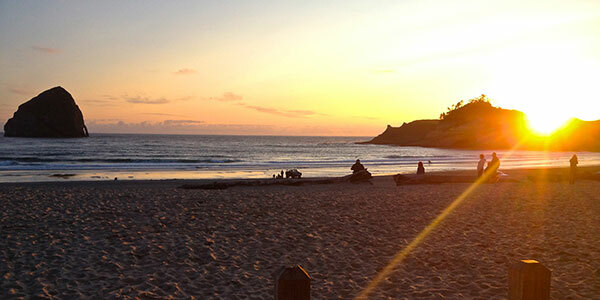 The Cape Kiwanda RV Resort is directly across from the ocean and haystack rock. Cape Kiwanda offers RV parking, tent sites and cabins. There is a pizza place and pool on site so obviously this is not a primitive setting. If you want to save a bit of money and don’t need all the amenities, you can stay directly next door at the Webb County Campground. This campground is basically a parking lot next door, but offers great prices, some full hookups and the same awesome beach access. This is a great way to nab ocean camping spots on the cheap. Near Joseph, Oregon lies the crystal clear Wallowa Lake. This lake is surrounded by 9,000-foot tall snowcapped mountains and offers some of the finest fishing and boating in the state of Oregon. There are 121 full hookup sites available for RVs. The campground also offers tent sites and yurts along with hot showers and flush toilets. The nearby Wallowa Lake Marina offers a variety of family activities along with trail hikes, horseback riding, go karts and mini golf. Want to see Mt. Howard? 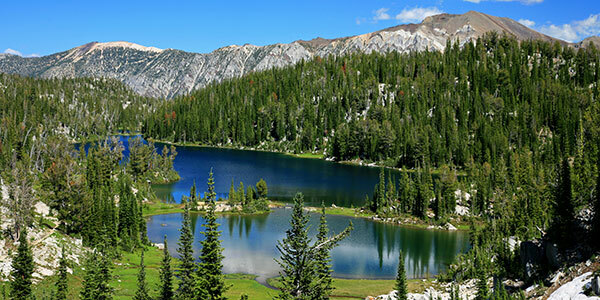 Hop on the Wallowa Lake Tram and ride up to the top (elevation 8,256 feet). Joseph, Oregon is known for its artist community and it offers gift shops, art studios and stunning bronze casting. Grab dinner at the cafe, then drive to Hells Canyon, the deepest gorge in North America. 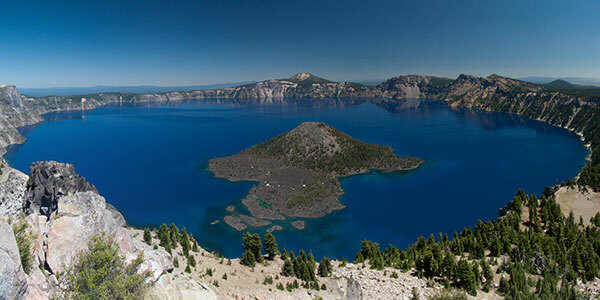 No trip to Oregon is complete without discovering the ultimate camping spot at Crater Lake. There are three campgrounds inside the national park available to visitors in the summer. Due to the snow, it’s best to plan your trip in late June through the end of August when the gates are certain to be open. Primitive campers will enjoy the backcountry camping permits offered for one day of off-grid, tent camping in the great outdoors. These permits are limited and rules apply. For RVers, a few full hookup sites can be found at the Mazama Campground, 7 miles from Rim Village. This campground is the closest to the lake with an awesome view. Rig size is limited, so be sure your RV is the right size when you make your reservation. Mazama Campground also offers at least 100 tent sites at a very affordable price. Hiking, photography, row boats and more are available for exploration of the lake basin. 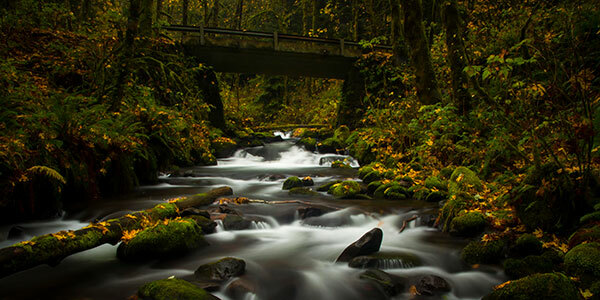 There are two amazing state parks that must be seen when visiting Oregon. Bridal Veil Falls offers views of a breathtaking falls surrounded by excellent spots for a memorable picnic. Ainsworth State Park is a hiker’s playground and also offers first class camping spots. Located at the eastern end of off highway 30 you can travel from Ainsworth to Crown point and see some of the world’s greatest waterfalls. There are 40 full hookup sites in a very private wooded setting. Tenters have six walk-in sites to choose from. Ainsworth offers hiking, waterfalls, and views, views, views. Be sure to bring your camera and take a million pictures of the luscious green landscape! Oregon is a tourist destination and you must have advance reservations. Check your park’s website months in advance to book your site. If you have questions, don’t be afraid to call and ask. If you are traveling in an RV, be sure that the space is big enough to maneuver into. Oregon has strict fire regulations and steep fines in all their campgrounds. If you are planning a trip be sure to watch the news and keep your eye on the park’s website. If there is a fire alert it will be posted on the website. It is not unusual to see campfires banned due to high risk weather. Come prepared. Eastern Oregon/Wallowa Lake Campground: See Joseph and Historic Baker City. 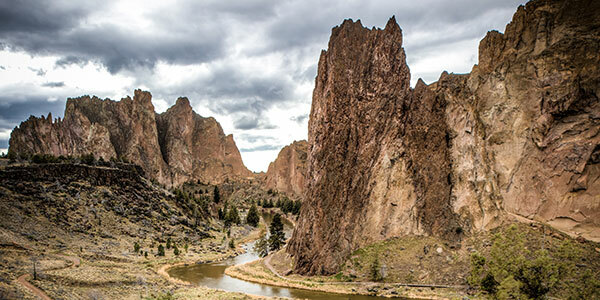 Central Oregon/Smith Rocks/Tumalo State Park: Be sure to visit the city of Bend and the historic Sister’s home of the world’s largest quilt festival. You may also want to visit the lava caves, skiing and world class white water rafting. Oregon Coast/Pacific City: Tillamook Cheese Factory, Nestucca Lighthouse, Lincoln City Kite Festival. Crater Lake: This lake is out of the way. Once you are there you can explore the great outdoors. Mt. Hood: Timberline Lodge, Sandy, Government Camp for skiing in the winter and rides in the summer. Ainsworth/Bridal Veil: Travel along the Columbia to Hood River and see the wind surfing and visit the Fruit Loop orchards!